In this highly interactive and informal presentation, Janet will demonstrate some of these techniques and the process she uses to create that energy, using examples of her own work. 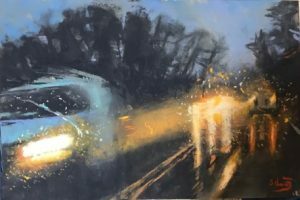 She paints rainy, blurry, realistic and impressionistic subjects and she is particularly drawn to the chaos and unexpected beauty of urban landscapes and traffic. 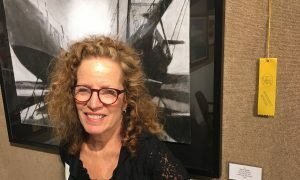 Much of her work is done using reference photos, which she translates and manipulates using pastels, oils, and charcoal. She is consistently drawn to energetic and bold images, dramatic light, contrast and deep perspective.